This week I will be going over other radiographic findings that should be noted as they are irritating to the surrounding soft tissue. There are two entities in this category to be aware of; open contacts and calculus. 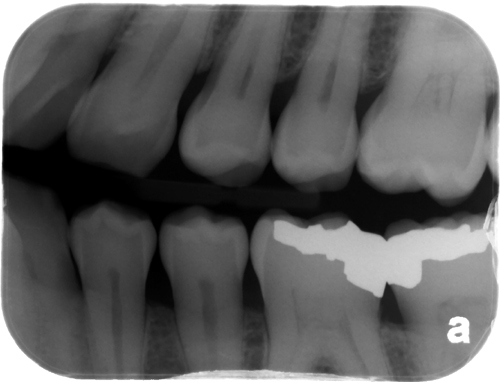 Open contacts can be either natural (as seen in the first radiograph) or man-made (as seen in the second radiograph). Open contacts allow food to be trapped, which if not cleaned properly will irritate the soft tissues. Open contacts present as a radiolucent vertical line between two adjacent teeth. The radiolucency is that of air. Note the open contacts between the maxillary canine and first premolar and the mandibular premolars. 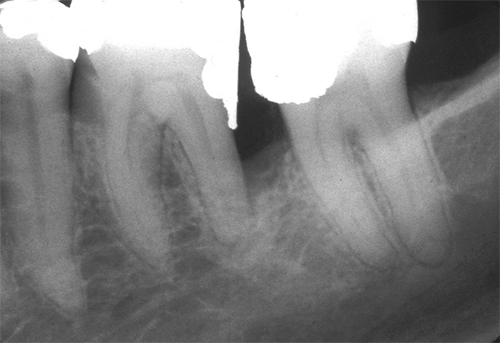 When an open contact is between two adjacent metallic restorations it becomes very evident as seen here between the mandibular first molar and second premolar. 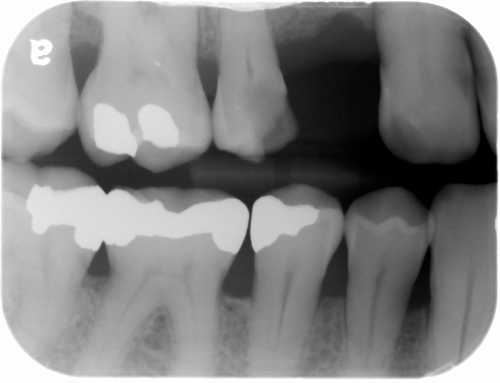 Calculus typically presents as a well-defined triangular radiopaque entity near the cemento-enamel junction. 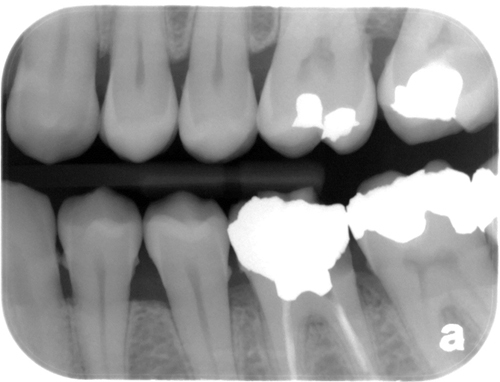 It may also present as a well-defined radiopaque mass near the cemento-enamel junction. This appearance is more commonly seen with heavy calculus buildup. 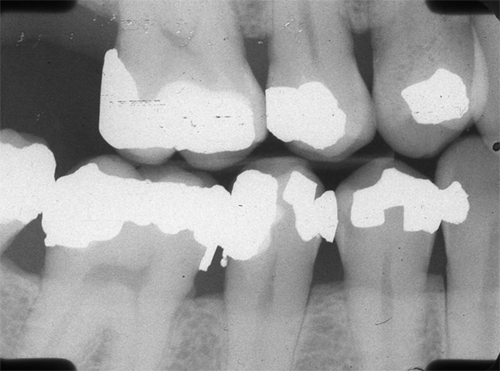 The radiopacity of calculus is less than that of enamel indicating it is not normal tooth structure. This radiograph shows both the triangular form (distal of mandibular second premolar) and band form (distal of maxillary first molar). There’s even a slightly over-contoured/bulbous restoration on the distal of the maxillary first molar. Here is another overhanging restoration directly adjacent to an over-contoured/bulbous restoration. This is all for the periodontal radiographic assessment series. If you have any questions or comments or want more topics covered, please leave them below. Thanks and enjoy!